Lauren Scharhag: Book IV is here! 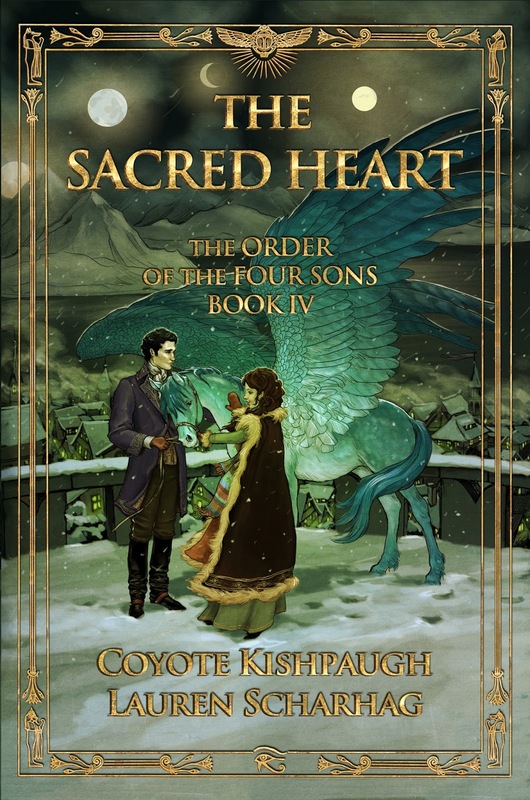 If you were fans of the O4S series before, you know that we took what was originally Book III and divided into two parts, Where Flap the Tatters of the King, and now, The Sacred Heart. Purchase on Amazon and Smashwords (Smashwords makes ebooks available in a variety of formats, including Nook and Apple.) Eventually, it will be available for download directly from retail sites such as Barnes & Noble and iBooks. We are also working on making it available in paperback for those of you who prefer a more tactile reading experience. 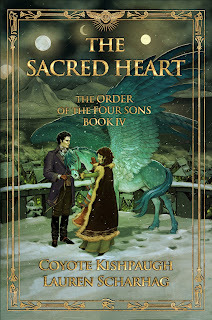 You can read an excerpt of Book IV here. Coyote and I took a break from working on Books V and VI, but we're back to it now. We'll keep you posted on our progress. We hope Book IV is enjoyed by new and returning readers alike. As always, we welcome your reviews, comments and feedback.